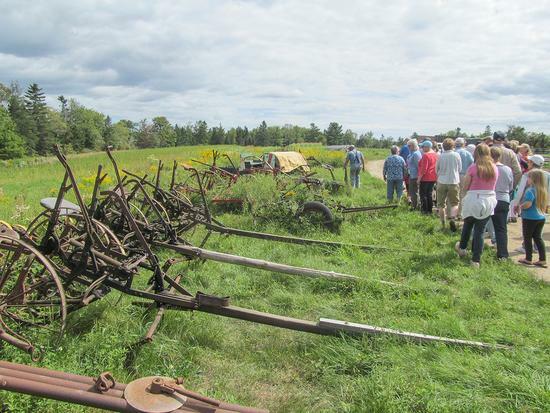 Visitors stroll past a line of cultivators. 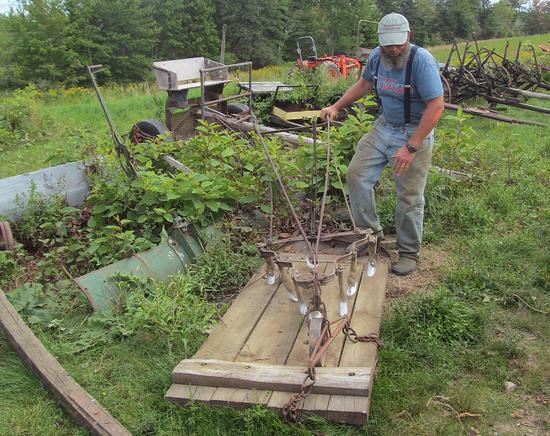 Andy Birdsall explains how different pieces of farm equipment are used. 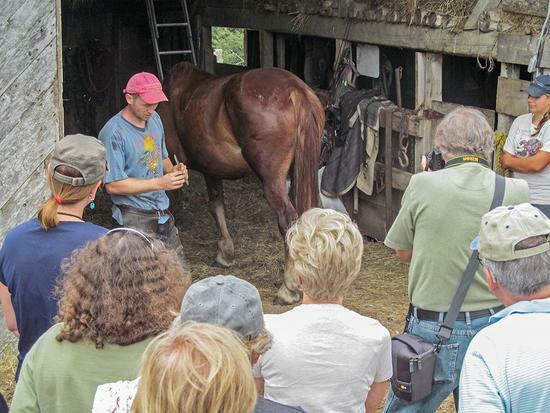 Drew Birdsall explains the importance of hoof maintenance to a horse’s health. 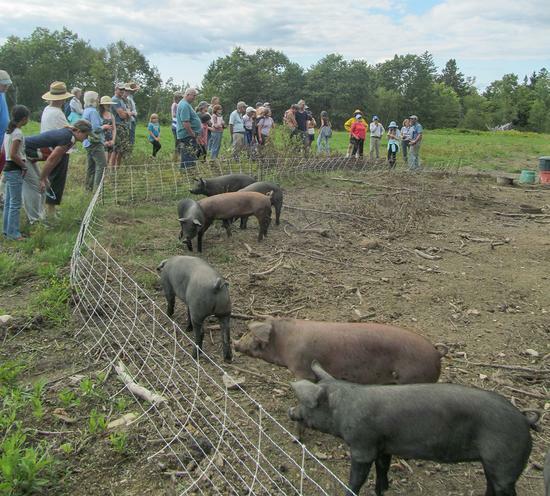 Pigs walk up to greet visitors.